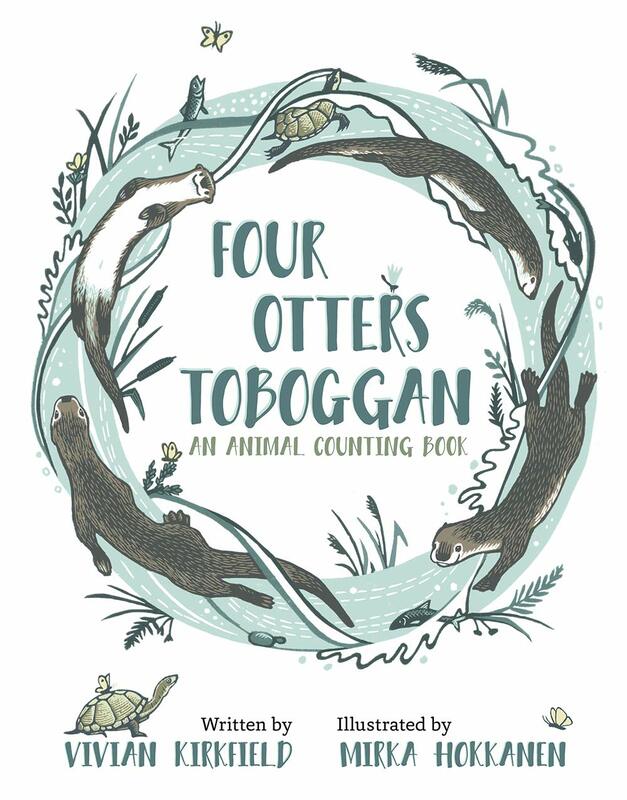 Author Vivian Kirkfield has a new picture book titled, FOUR OTTERS TOBOGGAN. It is is hitting bookstores on April 1st. Vivian has agreed to share a book with one lucky winner. All you have to do to get in the running is to leave a comment. Reblog, tweet, or talk about it on Facebook with a link and you will get additional chances to win. Just let me know the other things you do to share the good news, so I can put in the right amount of tickets in my basket for you. Sometimes a book journey is a short one. And other times, the journey spans a lifetime, when the seed of inspiration is planted decades before the story is ever written. I met my husband when I was sixteen…a freshman in college. He sat in front of me in English. And behind me in Social Science. Or the other way around. It’s hard to remember certain facts from all those years ago. But some memories never fade. We lived in New York City, but neither of us were city folk at heart. We both loved the freshness and beauty of wilderness areas. Every weekend, we’d steal away to upstate New York where lush forests and sparkling streams stole our hearts. And when we moved to Colorado many years later, we discovered hidden canyons and pristine rivers, alive with circling falcons and leaping trout. Taking a break from the hiking or fly fishing, I’d sit on a rock and watch the wildlife frolic before me. River otters playing tag with each other and dragonflies, dancing above the water. And finally, when I began writing picture books, it was time to tell the story of these wild creatures. I’d always be a proponent of environmental protection. Too many times, my husband and I would trek in to an area far off the beaten path and find litter on the grounds or trash in the river. Worse, we’d see industrial, residential, or commercial development encroaching on the habitat of endangered animals. And I thought that if children could learn to care for these animals early on, perhaps they will be the ones to protect them when they are old enough to make the laws. When I signed with my agent, Visitors to Deep Pool was one of the manuscripts I showed her. She loved it. 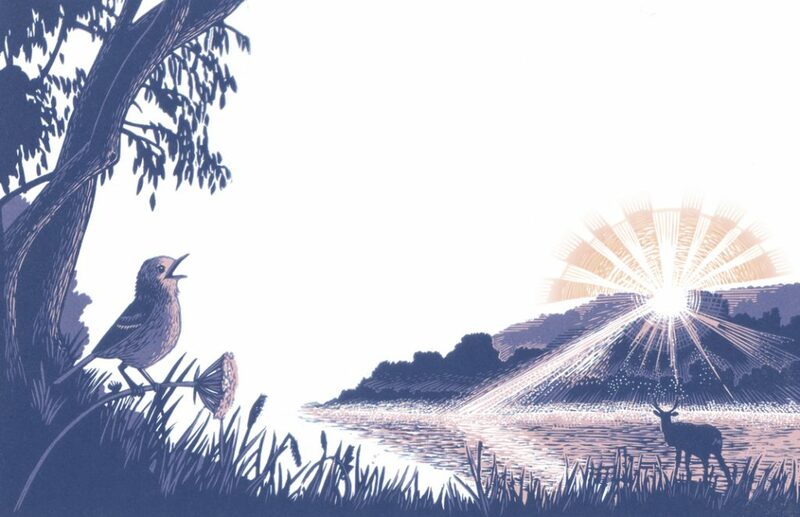 And when it went out on submission, it got lovely feedback – lyrical, beautiful, pure poetry, this is a book that every child should have…but it’s not for our list. 😊 Then my agent sent the story with some art from one of her illustrator clients because she felt it was a perfect matchup and perhaps an editor would love the whole package. BINGO! She was right on the money! The editor loved the marriage of my lyrical text and Mirka Hokkanen’s amazing art. Having the opportunity to work closely with the illustrator was an amazing experience. I got to see early sketches. And this collaboration had so many benefits for the book itself. Mirka’s research (YES, illustrators do just as much, or even more research than authors do) turned up the fact that one of the animals I had chosen was not suitable. We quickly found a replacement. And later, when Mirka sent me an early sketch of another spread, she had assumed the ‘bobbing beaks’ were the babies of the Peregrine falcons. But I knew that I was referring to the burrowing owls. Mirka was able to do a new sketch. 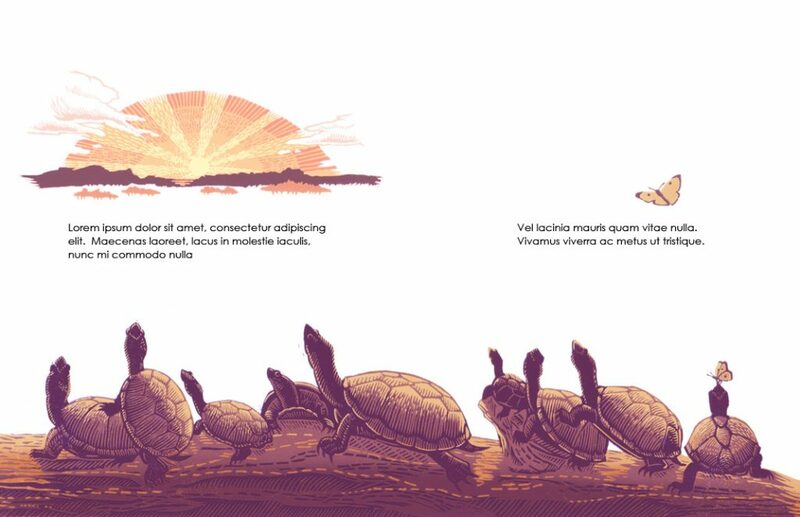 Had we not been in contact, as is the case for many author/illustrator relationships, she might have gone on to make a more detailed illustration of the wrong animals—and valuable time – and Mirka’s efforts—would have been wasted. I do understand why some editors shy away from connecting author and illustrator, but I can honestly say that in my experience, teamwork is the way to go! Recently Mirka created a coloring book with lots of fun-filled activities that extend the reading experience. It will be available on our websites as a free download and she’s having a bunch of paper copies printed up so that we can use them as giveaways at book events or to sell alongside the book. And the editor has designed bookmarks for us. 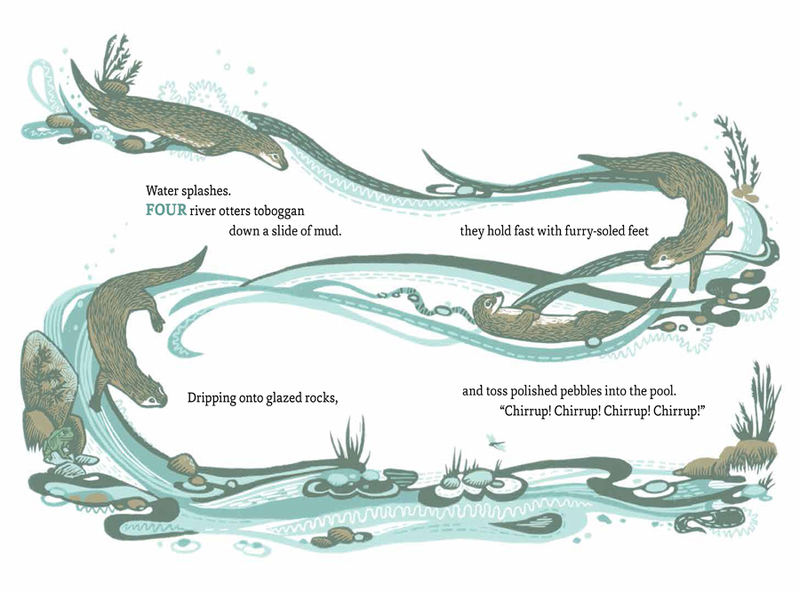 The Pomegranate team has been a pleasure to work with and I’m excited for OTTERS to tiptoe, toboggan, slide and splash onto bookshelves everywhere. With rich #STEM back matter, I know it will be an important book for early grade classrooms. Shhh…don’t tell anyone, but for over seventy years, I’ve been having a love affair…with picture books. As a toddler, I devoured them (both literally and figuratively) and by second grade, I already knew I wanted to be a kindergarten teacher (so I could read lots of picture books to my students). But it wasn’t until I was almost retired and my children were married with kids of their own, that I decided to write a book for parents and teachers. Show Me How! Build Your Child’s Self-Esteem Through Reading, Crafting and Cooking, published in 2010, was a joy to write, but difficult to promote, especially since I had self-published it. Then, in 2011, I turned 64 and my son gave me a surprise gift. We were going skydiving! I’m so glad I took that leap of faith because, when my feet touched the ground, I knew there was nothing I couldn’t do if I set my mind to it. I’d been fearful of starting a blog—but after jumping out of a perfectly good airplane, starting a blog didn’t seen that intimidating any more. I began to review picture books and discovered Susanna Hill’s website where she reviewed picture books. Inspired by many of her followers who were actively pursuing picture book writing careers, I was hooked! That’s what I wanted to be…a picture book author! I took another leap of faith and with my whole heart I jumped into critique groups, conferences, classes and of course, reading, writing and revising. I signed with Essie White of Storm Literary at the end of 2015 and have been blessed with a bunch of book deals. But the biggest blessing has been the camaraderie of this incredible kid lit community. There is so much rejection and disappointment that it’s absolutely positively crucial to have the support and encouragement of others. Most of all, I love helping other writers follow their dream because I truly believe that with patience, persistence, productivity, and passion, those dreams will become a reality. Vivian, thank you for sharing your book and its’ journey with us. Looks like a really good book with nice illustrations. I bet it will be big with schools. I am sure it will make the winner very happy to receive it, too. Good Luck! Not sure if the post got cut short. OMG! Where did the rest of the post go??? I will try to find out what happened and get it back. Thanks for the heads up! Okay! I the post is now working and looking good. You might want to stop back to read Vivian’s Journey. Gorgeous illustrations!! The pages you’ve shown read like poetry – what a beautiful book. Please count me in the giveaway running. Congratulations, Vivian! Wishing you all the best. It does look like some of the post is missing. Congratulations, Vivian. The beautiful language pulled me in. Thanks! Congratulations to Vivian and Mirka–I love the concept and the look of this book. Thanks so much for sharing. I can’t wait to see this book! Congratulations, Vivian! I look forward to reading your book! What I love about this book are the many layers that teach children about animals and counting as they move through a day from early morning on with some of the most lyrical and beautifully chosen words. Dearest Vivian, you’ve written another winning book. Great pairing of illustrations with Vivian’s words! It does look as though the last part of this interview ismssing. Congrats, Vivian!! So excited for all your releases this year! This is a beauty!! Thrilled to see that the Four Otters and their friends are out & about in the world. I’ll be sharing this on twitter to help spread the word! Thanks for giving a peek into Vivian’s book–both the lyrical writing and the art look wonderful. 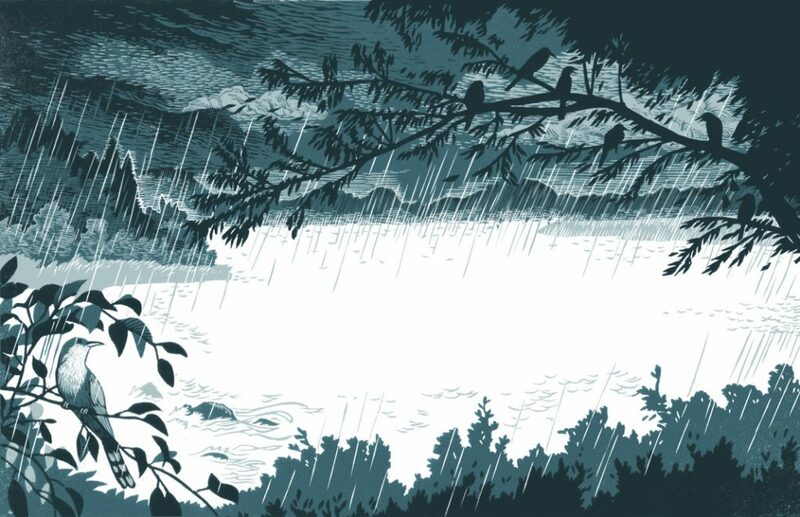 I can’t get enough of these books that celebrate the diversity of the natural world. This one is beautiful. I am tweeting and posting this to FB. I am so excited for the release of this book. A big congratulations to Vivian, again! We need more books with this message of conservation. Congrats, Vivian (did text get cut off for Book’s Journey? )–gorgeous book that I must add to my groaning shelves! Just the title of this book makes me smile. Can’t wait to read it! Congrats, Vivian! Beautiful message and gorgeous art! Gorgeous & fun! Congratulations, Vivian and Mirka! Congratulations, Vivian! I can’t resist titles with “otter” in them! What a lovely book! The wood engravings are just spectacular!! Thanks for the chance to win a copy. I’ve tweeted a link to this post: https://twitter.com/carlrscott/status/1107701027984142336, and pinned an image with a link on Pinterest: https://www.pinterest.com.mx/pin/336573772149957911. What fun! I am a big fan of otters… huzzah! to Vivian for putting them in a counting book! The text + illustrations = a perfect picture book. Congratulations! Wonderful story. I am always inspired by such publishing journeys. Thanks for the post. The book looks perfectly charming and I can’t wait to read it. This is simply beautiful! Good luck, Vivian! I have also posted to Facebook and Twitter. It really looks lovely Vivian. This is an absolutely lovely book and one I will own whether or not I win the copy! Thank you for sharing your publication experience. The book looks so beautiful! Can’t wait for April 1 (I read the release date correct hopefully)! This is an absolutely lovely book!! I saw a sample of this book on the publisher’s website, and it blew me away. Stunning art and text just from the same. Can’t wait to see the whole thing!